At Mo's Music Center's vaunted venue "the Cave" on Aug. 18, 2007, crowds were late arriving but by the 2 o'clock hour, most of the seats were filled and nine musicians were on hand - eight veterans and a young newcomer. Not only that, but every genre of ragtime, from early or "folk" to Harlem Stride to Classic, Novelty, advanced, Tin Pan Alley (or "popular") and contemporary - was well represented by this talented bunch. While awaiting the audience to arrive, MC Eric Marchese and Jeff Hartman, normally an audience member, duetted on "Swipesy" and "Weeping Willow." Taking his cue from the latter number, Eric delivered another 1903 Joplin tune, "Little Black Baby," with Joplin creating a characteristically romantic piano part for Louise Armstrong Bristol's lyrics. Eric and Frank Sano then duetted on another, more widely-known ragtime song: "Red Rose Rag," composed by Percy Wenrich, with words by Edward Madden. Again, Eric saw a link to a solo - this time, "Persian Lamb," Wenrich's sensational solo rag published by Walter Jacobs (Boston) in 1908. Stan Long got the formal portion of the afternoon rolling with a pair of Charles N. Daniels pieces, "Margery" and "Hiawatha," both with pleasingly raggy sounds, the latter given fine locomotive effects in both hands but primarily in the bass. Stan wound up his set with a rare Robin Frost number, "Uncle Herbie's Rag." Unlike most Frost pieces, this is not a novelty, but a full-fledged piano rag with a folksy opening section, intricate second theme and a wonderfully bluesy, jazzy, 32-bar trio plus, as a bonus, a harmonically complex bridge that leads back to the final reprise of that terrific third strain. Ron Ross dished up his pretty, softly dramatic tango "Joplinesque" and "Digital Rag," with its jazzy variations on a theme. Tying in with the two earlier Wenrich pieces, Bill Mitchell offered a medley of the composer's three biggest song hits, "Put on Your Old Grey Bonnet," "On Moonlight Bay" and "When You Wore a Tulip," then performed Wenrich's most popular rag, "The Smiler," which turned 100 this year. Fittingly, in his comments, Eric had mentioned all of these pieces as key Wenrich compositions. Noting last OCRS's focus on Kansas City and the fact that James Scott's "Kansas City Rag" was overlooked, Bill delivered that gem, which also had its centennial this year. As a complement to the Scott piece, Eric offered the composer's 1909 masterpiece "The Ragtime Betty." Andrew Barrett opened his set with Charles L. Johnson's "Fine and Dandy," then the less frequently heard "Sparkles," a 1909 rag by Charles B. Ennis issued out of Indianapolis by Warner G. Williams. The piece was light and lilting, with a folksy flavor and a bit of three-over-four, and Andrew gave both rags outstanding touches of his own. He ended with Copeland's "Rocky Mountain Fox," one of several of the idiosyncratic composer's rags to come out on piano roll, not to be transcribed until our era. From 1917 (the roll, anyway), the rag has a Midwestern flavor and many choice blues harmonies. Vincent Johnson admirably tackled an entire set of Charley Straight rags, with flying colors. He opened with "S'More," issued in 1916 on roll and transcribed in recent years, with fine harmonic changes and a characteristic break in the second section. Next up was a moderate tempo version of "Blue Grass Rag," published in 1918 but issued earlier, on piano roll, as "Mitinice" (mighty nice, get it?). Last but by no means least was "Ruffenreddy," issued by Straight on piano roll in 1917 but published five years later, with minor alterations, by Roy Bargy. While retaining the Straight essence, Vincent added his own licks to all three rags. Bob Pinsker opened with James P. Johnson's "Twilight Rag" from his transcription of the composer's 1917 roll, a piece whose second theme has a wicked ascending bass sequence and an exciting trio, all well showcased by Bob. Next, Bob gave us a "name that tune and composer," hinting that the piece was the composer's most heavily covered, Bob noting that he had just heard it while dining at a Chipotle restaurant. After playing and singing the piece off a lead sheet that he'd transcribed from the original recording of the tune and noting that despite its popularity among performers, "no one can tell you who wrote it," Bob entertained numerous on-the-right-track but incorrect guesses as to the composer. The piece is "Don't Cry, Baby," originally from 1929, and the composer... James P. Johnson. (It was finally published under Johnson's name in 1944). Bob ended his fascinating set with the Jean Paques novelty "Pianotes," in a lively, piano roll style. As his encores, Eric dished up a couple of originals: "Clambake Capers," a 2005 piece saluting the New England summertime custom of having clambakes; and "The Last Princess," the piece Eric penned a decade ago while viewing the worldwide telecast of the funeral of Princess Diana. Bill and Frank teamed up on two pianos with a medley of "I Want to Be Happy" (by Youmans and Caesar, from the Broadway musical "No, No, Nanette") and "Takin' a Chance on Love" (by Vernon Duke, from the film "Cabin in the Sky"). Though not ragtime, both are great classics! They then delivered instrumental versions of the well-known 1922 Confrey novelty-style song "Stumbling," and "Angry," the latter Dixieland standard called "a saloon song from the 1920s" by Frank. Stan encored with his original "Haunting Accident," a Trebor Tichenor-style rag, and Ron with "Orange County Rag," which employs a variety of sounds and styles from tango to Joe Lamb. Vincent's encore set included a two-piano duet, with Eric, of Harry Jentes' "Bantam Step," partly to honor Jentes' August 28 birthday; and a two-piano duet with Andrew on "Double Fudge," Joe Jordan's first published rag, from 1902, with a heavily Turpinesque flavor. Vincent then soloed on Bargy's "Omeomy" (from Tom Brier's transcription of the composer's 1920 roll) and Copeland's lyrical yet bluesy "French Pastry Rag," issued by Remick in 1914. Bill offered the audience a choice between "The Entertainer" and "The Easy Winners," both featured in "The Sting"; the choice was "Easy Winners." Young newcomer Alexander Lee continued with the Joplin/"The Sting" theme with his terrific rendition of "The Cascades." In two lengthy asides, Eric noted that the rag's second theme was underscoring in the scene where Charles Durning chases Robert Redford for several blocks, while Bob quizzed the audience as to which major TV series had one of its actors performing "Cascades" on piano. Eric zeroed in on William Christopher ("Father Mulcahy") on "M*A*S*H" - and was correct. Eric admitted he had inside information, having once met the actor at a ragtime ball in Pasadena years earlier. Though Christopher never specified that he played "Cascades," and Eric has never seen that particular episode, the actor professed adulation for Joplin's works; told Eric an anecdote about going up in flames on "Maple Leaf Rag" during a live talk show with the rest of the M*A*S*H cast; and is frequently seen on the show, in character, playing various Joplin pieces - competently if nothing else. Andrew wound things up with Melville Morris' "Tiddle-De-Winks," a 1916 Remick publication, and his own sensational original "Frequent Flier." Bob closed the afternoon with a rendition of his favorite of Eric's so-far unpublished classic rags, "Out of Time," and his piano roll transcription of Fats Waller's version of the pop tune "Do It Mr. So-and-So." Certainly this meeting was one of our most eclectic and complete ever, with 41 selections covering every ragtime genre imaginable. 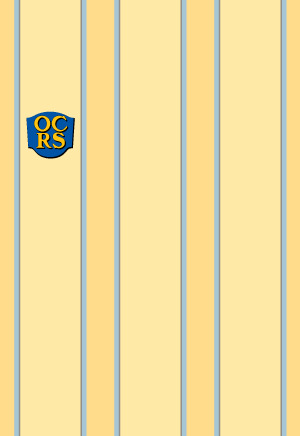 With just one more OCRS before RagFest, we'll reconvene next month at Steamers - that's Saturday, September 15 at 1 pm.